The Key is the official journal of Northwestern Center for Public Safety. Our bi-monthly digital publication features law enforcement and public safety-related articles authored by expert members of law enforcement and related industries. To receive a complimentary subscription to The Key, click here. Download the full digital PDF edition of the new issue — or browse the articles below! Interested in checking out the benefits of mindfulness? Here is a list of nine apps that frequent the "best of" lists. Learn more . . .
More articles from past issues of The Key are available using the following links . . . The Key is a bi-monthly publication of Northwestern University Center for Public Safety, 1801 Maple Ave., Evanston, IL 60201. nucps.northwestern.edu. Copyright © 2019, by Northwestern University Center for Public Safety. Reproduction of any part of this magazine without express written permission is strictly prohibited. Articles are contributed by professionals in public safety and related fields. No word rate is paid. No other reimbursement is provided. Contributors’ opinions and statements are their own and do not reflect that of Northwestern Center for Public Safety or Northwestern University. Advertising is not accepted. To update the email address associated with a subscription, please email nucps-alumni@northwestern.edu. 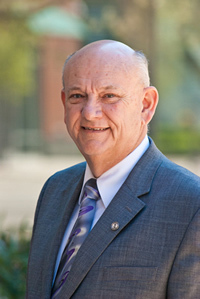 David Bradford/executive director. Caroline Paulison Andrew / editor.